One of my favorite vases made by Laigneil, so very much art nouveau. Art nouveau in the shape and in the curly hairs of the young woman pictured on the front of the vase. 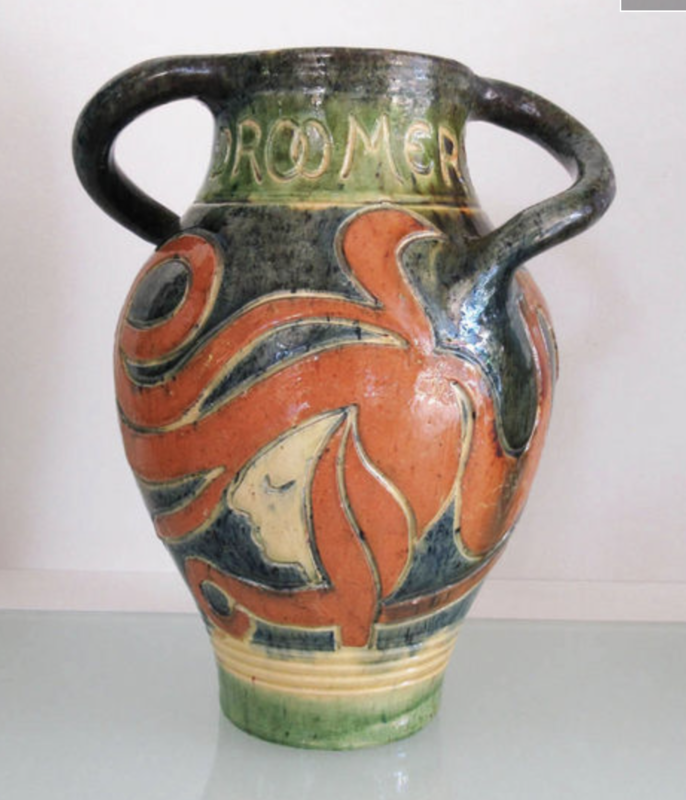 The name of the vase is "Droomerij" which means dreams. This vase in another color is pictured on the front of the book about Laigneil. The design was made by Jozef Vierin.